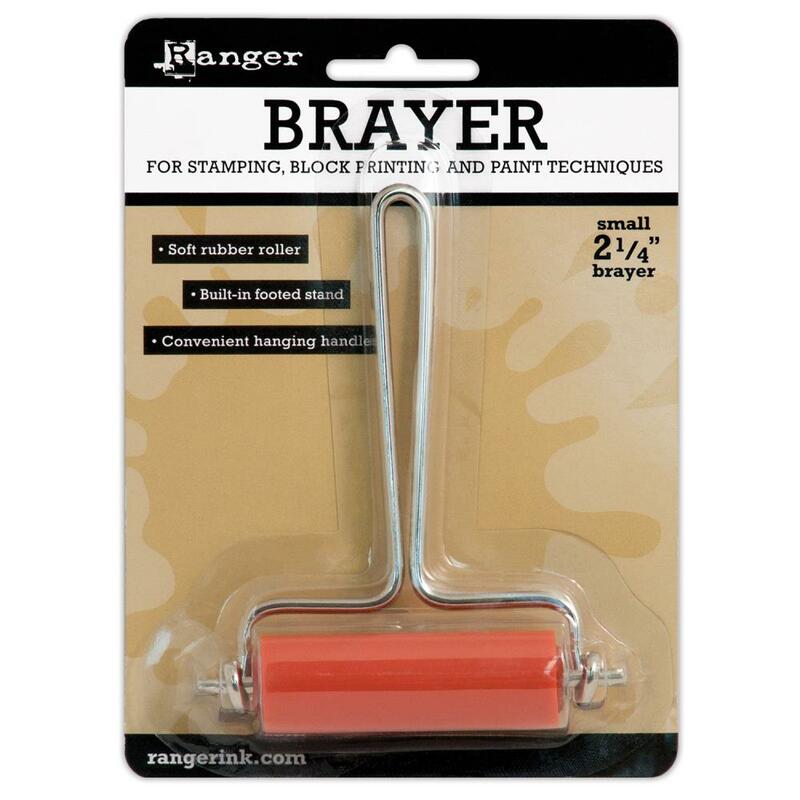 RANGER-Inkssentials Inky Roller Brayer. Small Inky Roller brayer system provides you with the ultimate in creativity and flexibility. Create your very own textured roller stamps and transfer stamped designs to paper and fabric! Features: Ultra-soft rubber roller, built-in footed stand, convenient hanging handle, and change rollers effortlessly. Made of metal and rubber. Color: Silver and Red. Measures: 4.75Hx3.75Wx1.0625D. 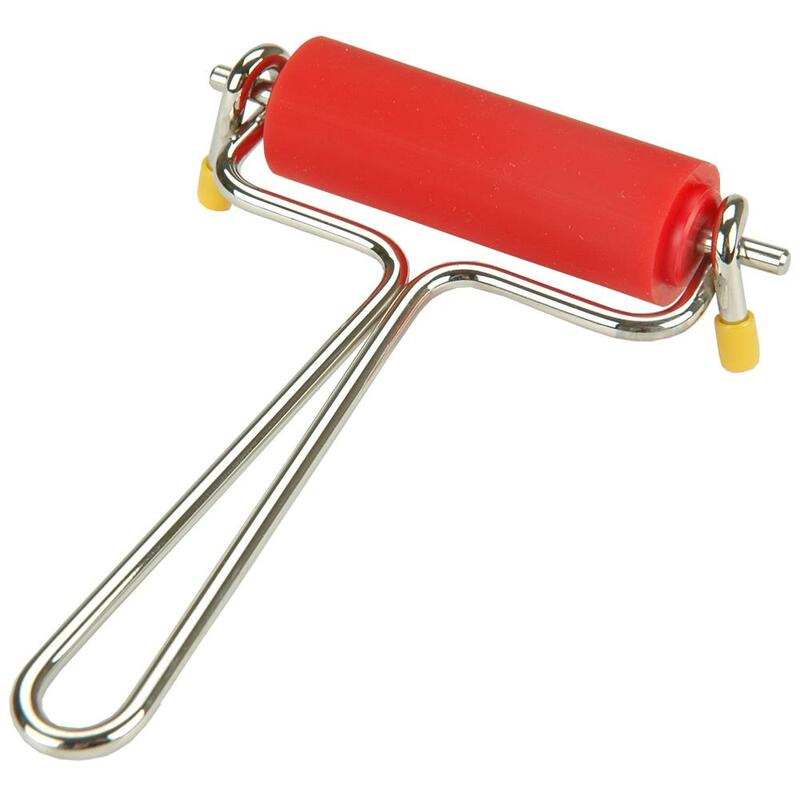 Small 2.25 inch wide brayer roller.